CDR means "Call details records" and they are the hearth of a VoIP system monitoring. 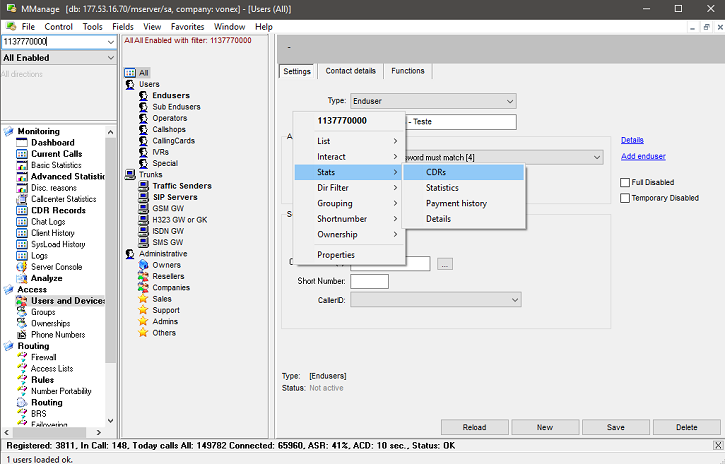 A CDR is generated after each call by the VoIP server which then can be used to generate various statistics. Very often the server administrators need to achieve CDR reports for a specified user (accounting or statistics purposes). 3. Enter the number to the source section. 4. Adjust the date selection (there are no CDR record for 1137770000 today and yesterday, so you need to select “Last week” or specify an exact date-time range). 5. Click on the “Load” button on the CDR form. 4. 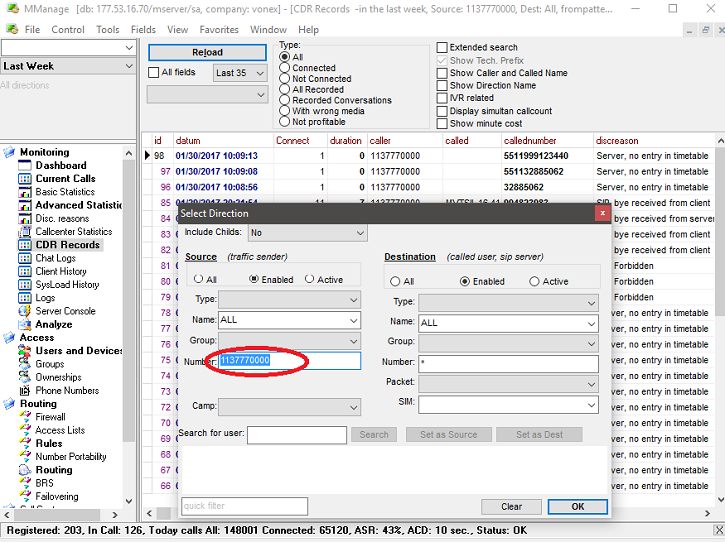 Adjust the date-time filter as needed and click on CDR form Reload button (there are no CDR record for 1137770000 today and yesterday, so you need to select “Last week” or specify an exact date-time range). When you have got the required CDRs, they can be easily exported into the desired format (csv, txt or html) from the Main Menu/ File/ Save As. For more details, please consult the SIP server documentation.